If your pets are as much of a part of the family as everyone else, then include them in the holiday festivities! Put up a small tree just for the pets. 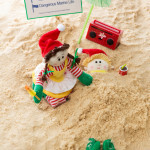 Your grandchildren can decorate the doggie tree, make gifts, bake holiday doggie treats, and even write letters to Santa, explaining why Santa should still visit Mr. Fluff—even though he dug all those holes in the rose garden last summer. You’re the grandma who always brings the great toys, and you’ve already done that. This year, consider also exchanging homemade gifts with your grandchildren. They will love the opportunity to get creative and surprise you. Explain that homemade gifts are different from other kinds of gifts, because they come from the heart. It is a real joy to see what little ones come up with! Each year, gift your grandchildren with a bell from a different reindeer’s reins. Write a letter that talks about the reindeer’s name, its favorite food, and any other fun stats you want to include. Next year, encourage your grandchildren to leave out special food, and let them guess which reindeer will leave them a bell this time. The fun guessing game adds to the holiday magic. Kids don’t usually get to enjoy fun holiday shopping, but finding a way to include them can teach them how to be cheerful givers. Give each grandchild five dollars, and take them shopping to pick out gifts for everyone on their list. Consider shopping at a dollar store where your grandchildren can get the most for their money. Watch their little eyes fill with joy as their cart piles up big and bright with gifts for those they love. Every year, the Elf Magic Elves arrive to play. And wherever the kids go, the Elves want to go, too. Elf Magic Elves gain magic by playing with friends and being loved. Occasionally they go on “elfcapades” and get in trouble while everyone is sleeping. While the Elves do have to return home to the North Pole after the holiday season, they makes special visits through the year to share in important days, or simply to make tough times easier. 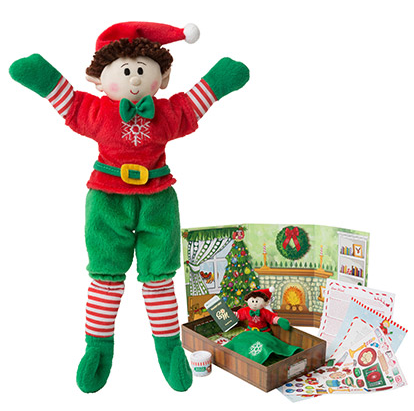 Elf Magic is a delightfully fun way to add whimsy to your own family holiday traditions! As you prepare to celebrate with the little ones in your life, we wish you many, many Christmases of wonder-filled moments sprinkled with all the many traditions that make your family one of a kind. 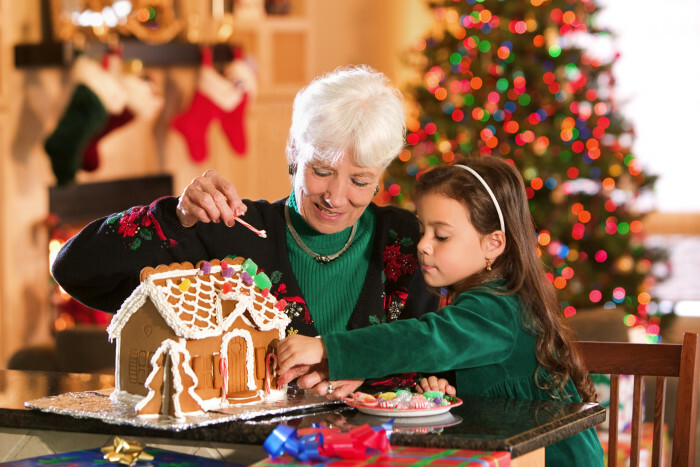 Begin a new holiday tradition just for your grandchildren to start building a memory that will be cherished for generations to come.